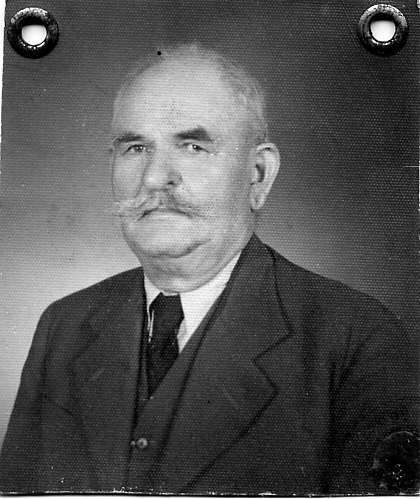 Identity card of my Grandfather, Bálint Pethő. 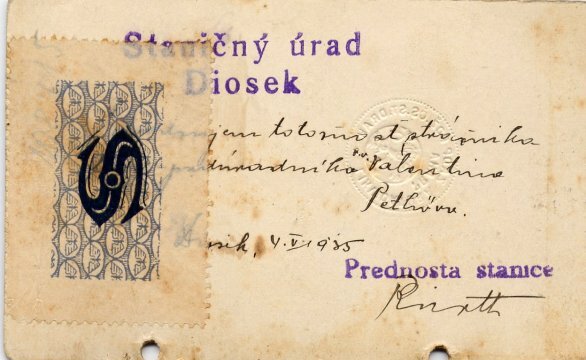 The stamp on the top says: "Railway office, Diosek". 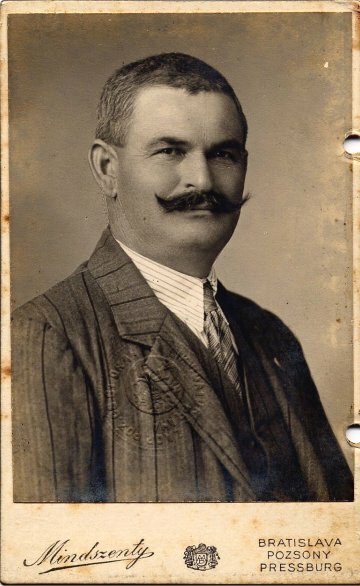 The handwriting says: "I confirm the identity of the ex-railway guard, lower grade, Valentin Pethő Diosek, 4/5/1935". The lower stamp says: "Station Master", then signature. This is how I remember my grandparents when I was a young child. 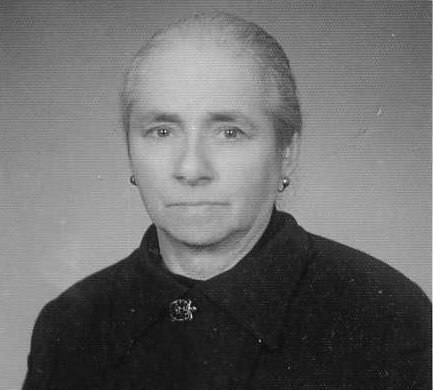 I do not know the exact year when the photos were taken but I believe it must have been soon after the end of the Second World War. They were obviously photos taken for their identity cards. My brother had a photo of himself as a two year old sitting beside our Grandfather in front of the railway station of Pusztafödémes (Slovak name Pusté Úľany). Therefore the identity card must have been issued when he left the railway employment, probably to retire.